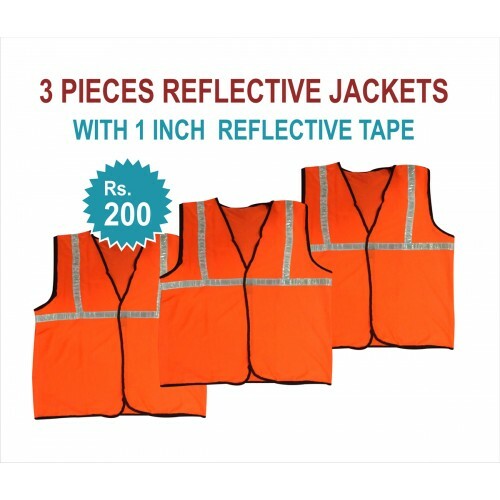 3 PIECES REFLECTIVE JACKETS- 1" REFLECTIVE TAPE JACKETS. RS 200 FOR PACK OF 3 PIECES JACKETS. PRICE INCLUDES GST & DOOR DELIVERY ANYWHERE IN INDIA. MEN’S HAT. PREMIUM QUALITY BEST QUALITY . BIG VALUE FOR MONEY.CONTENT ..
GUJRATI THEME UNIFORMUNIFORMS ARE MADE FROM MILL MADE YARN DYED BLENDED SUITING. SKIN FRIENDLY,..
UTILITY UNIFORM-WORK WEAR. SHIRT & TROUSER.MAINTAINENCE UNIFORM. PLANT SUPERVISOR UNIFORMSBEST Q.. Specifications :Length Size - 1000 mm - 39 InchThickness 4 mmColor Black / Transparent / Khaki..
UMBRELLAUMBRELLA GARDEN-BEACH-SUN PROTECTION-SALES DEMO UMBRELLA 6 FEET DIA SAME DAY SHIP..